Our Chocolate Crunch Cookie is everything you want a cookie to be. Without cashing in an entire bankroll of daily calories and fat in one bite, these cookies are scrumptious! A real cookie lover’s dream come true, they’re slightly sweet, ever so crunchy, chocolatey and entirely delicious. 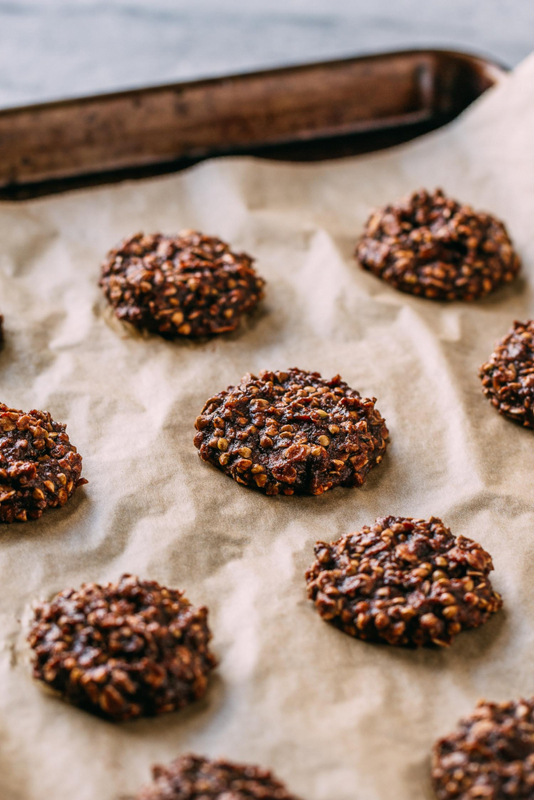 We’re talking incredibly healthy and nutritious all while being as chocolatey as a Chocolate Crunch Cookie ought to be! So let’s take a quick look at the main ingredients. How does a Chocolate Crunch Cookie bring the flavor magic without cashing in the calorie chips of an entire day? 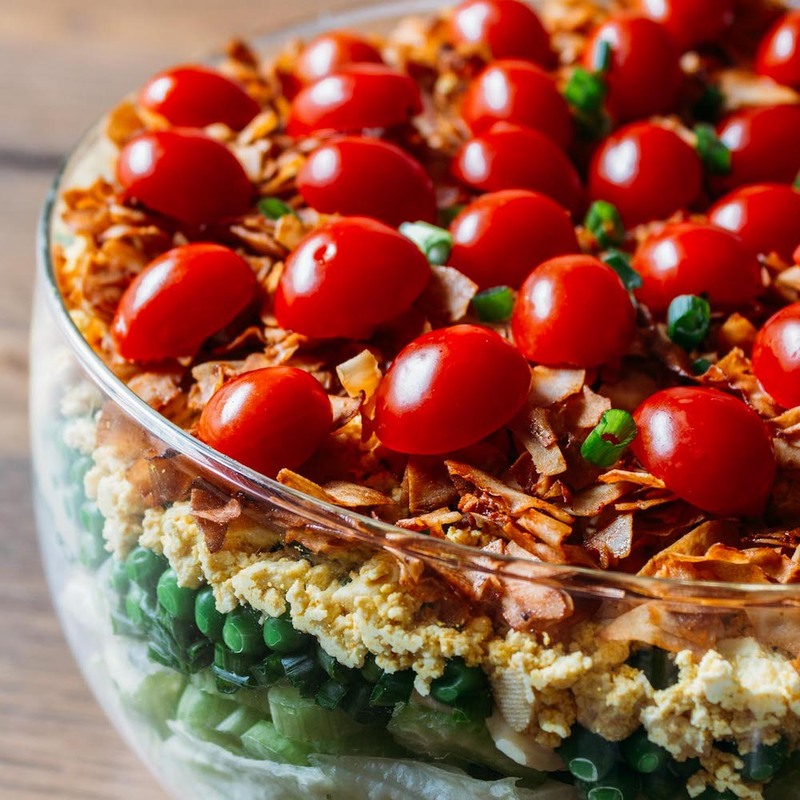 To begin, there’s the whole food plant-based naturally gluten-free foundation of buckwheat groats and oats. We’ve all likely heard the list of attributes of heart-smart oats. But what do we know about the virtues of buckwheat groats? 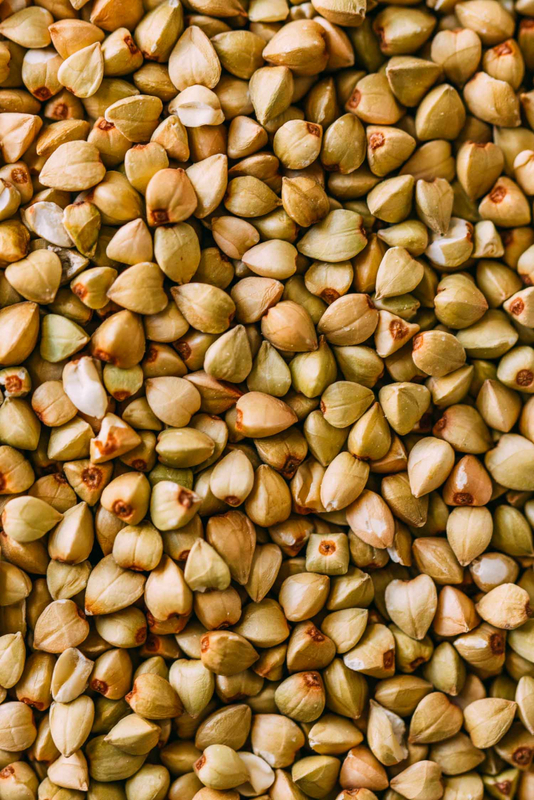 We’ve borrowed the following facts about this lesser-known grain from our Peanutty Broccoli Buckwheat Bowl recipe. Many people, including us until just a few short months ago, think of buckwheat as a cereal grain. But as it turns out, buckwheat is a fruit seed that is related to rhubarb and sorrel. Since buckwheat is a seed, it’s a smart substitute for those sensitive to gluten which is often found in grain. Buckwheat is naturally gluten-free. 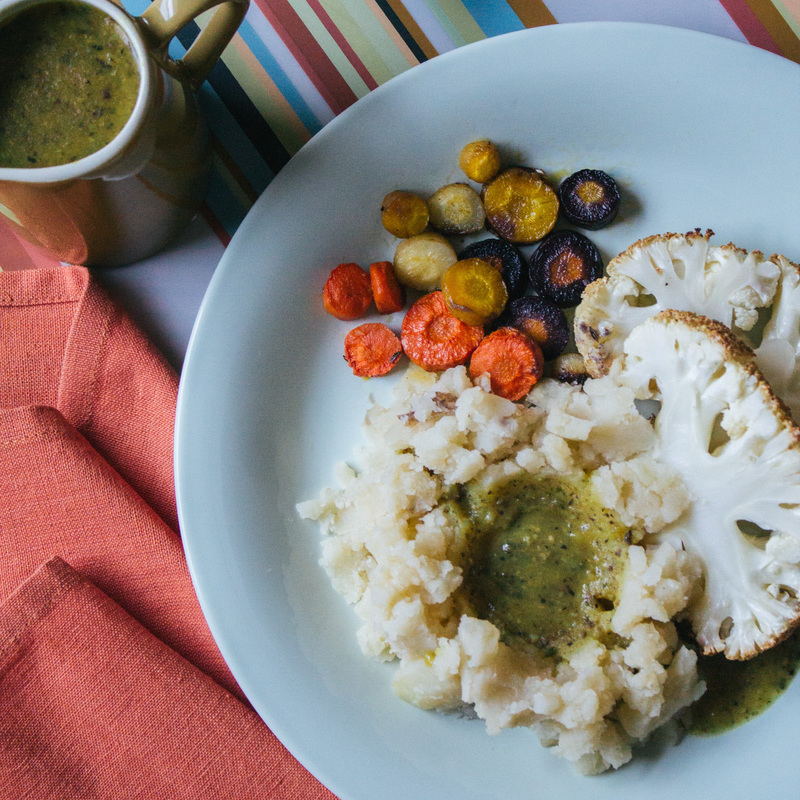 So buckwheat is a favorite choice among plant-based and gluten-free eaters alike. It provides a high source of amino acids, vitamins, minerals, and antioxidants. Additionally, it has very few calories and practically no fat! If you would like to know more about the benefits of including buckwheat in your diet, check out this article. We found that the Chocolate Crunch Cookie tastes particularly good with a hot cup of coffee or tea. But seriously, what cookie isn’t enjoyable with a fresh cup of coffee or tea? While we’re on the subject of palate-pleasing cookies, we want to shout out to Real Simple Magazine for the inspiration. We were inspired by a recipe for Salted Chocolate Buckwheat Thins. 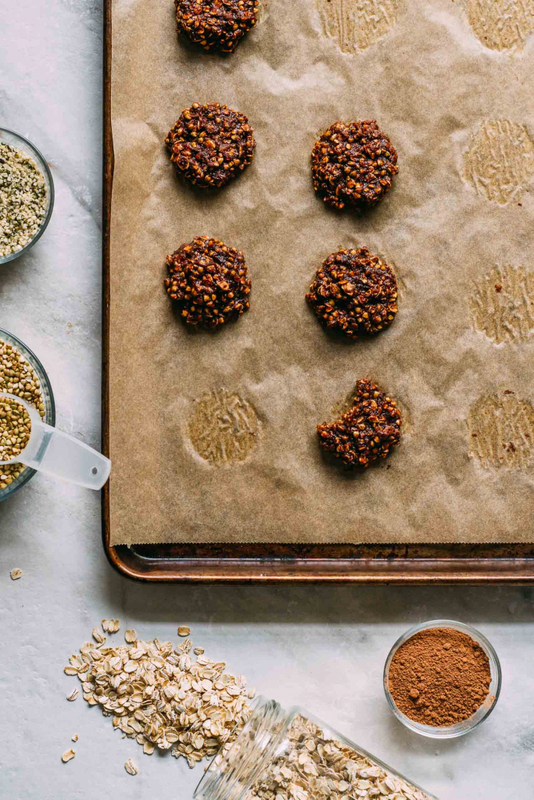 Our ingredients differ in that we opt to use cacao, tahini, dates and hemp seeds. Once you’ve caught on to loving buckwheat, be sure to try our recipe for a delicious Peanutty Broccoli Buckwheat Bowl. And to go along with that tasty bowl, make a batch of our Thai Inspired Peanut Tahini Sauce & Dressing! Until next time, remember to Pin this recipe for save keeping. Share it on Facebook, Twitter and Instagram, tag us and leave a kind comment after you’ve tried it. Any and all of those things show us your valued support. And every effort of yours will help share the delicious reality of plant-based living with others who need to know. By the way, we found that our Chocolate Crunch Cookie tastes particularly fabulous paired with a dollop of dairy-free yogurt. 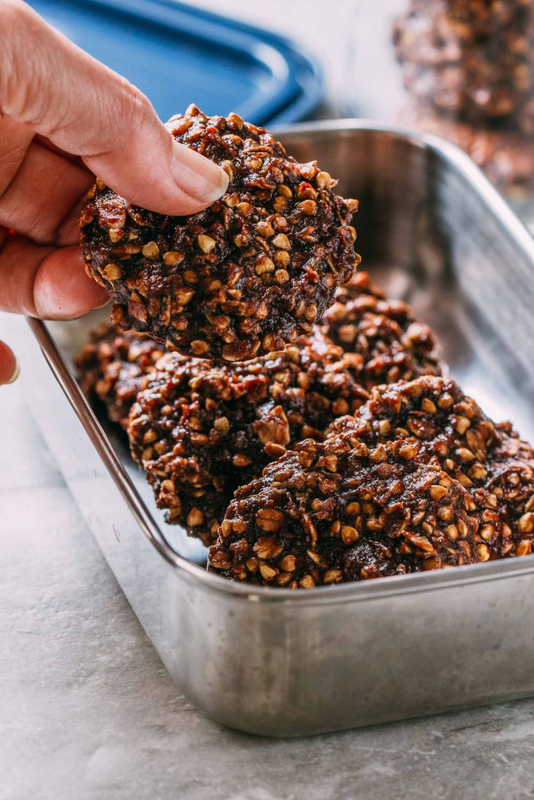 This Chocolate Crunch Cookie recipe manages to bring all of the flavor magic without cashing in all of the fat and calorie chips of an entire day. 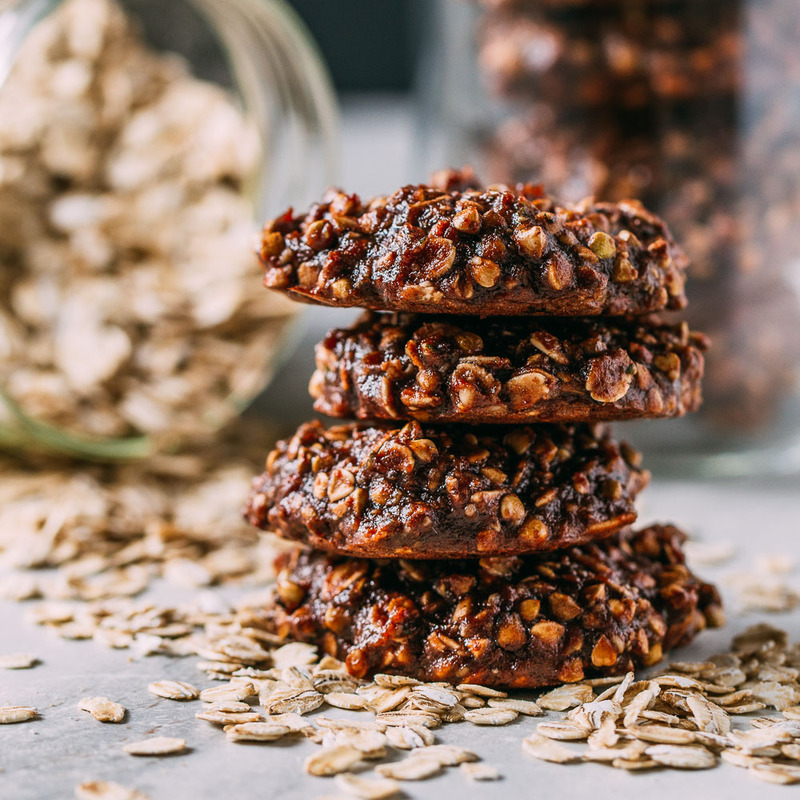 These nutritious cookies (yep) have that fun, familiar, snap, crackle & pop like the ones you may remember enjoying in candy bars or snack cakes packed in your lunch as a kid. 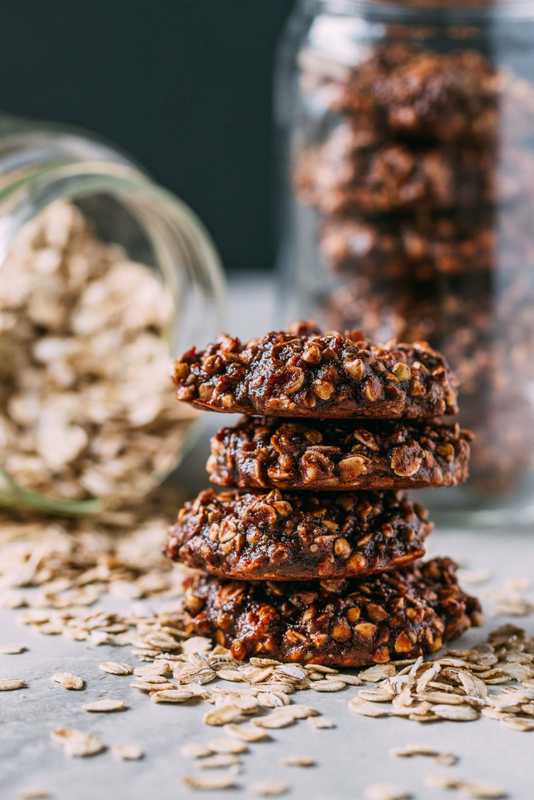 But this new cookie recipe also provides nutrients! So make yourself a batch of cookies that do something other than make you feel guilty. 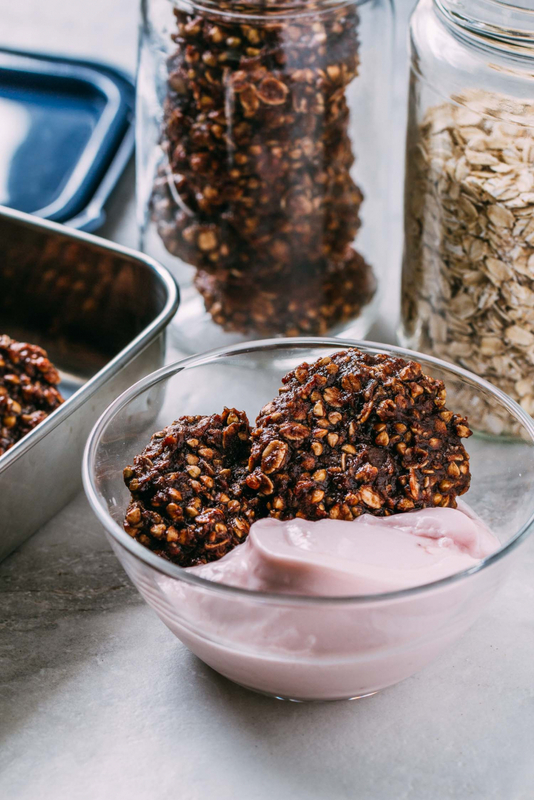 You can even enjoy a Chocolate Crunch Cookie as a grab and go breakfast if you like, they’re THAT KIND of healthy! 3/4 cup of old-fashioned rolled oats - Be sure to use gluten-free oats if gluten is an issue. 8 Medjool dates pitted - We like these plump and juicy organic dates! 1/4 cup of tahini - We like to use organic tahini when possible. 1 tsp of pure vanilla extract - We often use this brand. Begin by preheating your oven to 350° Fahrenheit. And on a rimmed baking pan lined with parchment paper, spread the buckwheat groats in a single layer. Bake until the groats become fragrant and darken ever so slightly; about eight to ten minutes should do the trick. Once toasted, set the groats aside to cool. After adding the groats to the large mixing bowl of dry ingredients, save the empty parchment paper lined pan to reuse when baking the cookies. 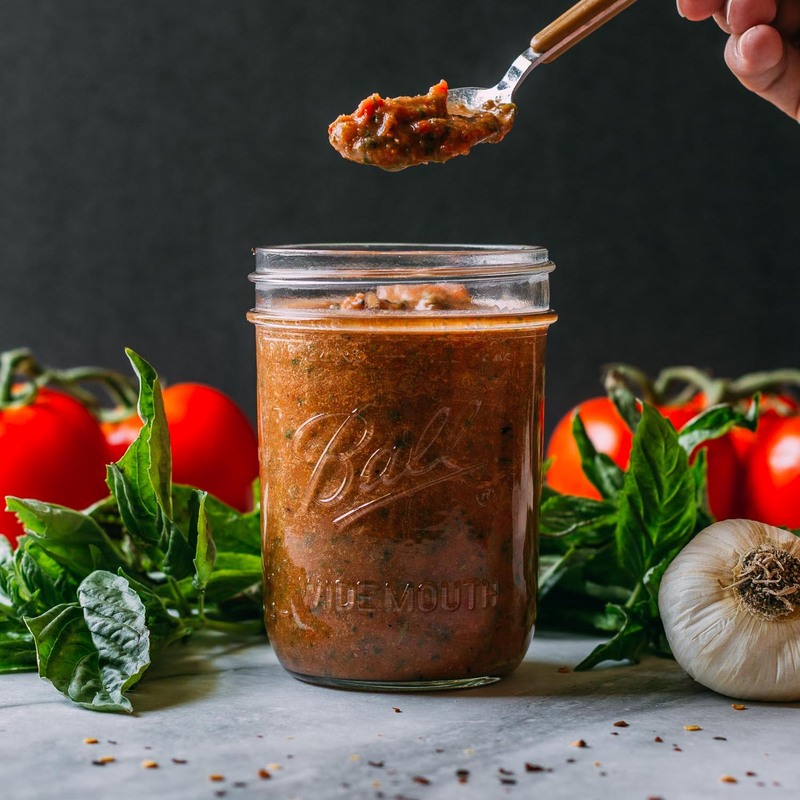 While the groats toast, in a food processor or blender, combine the items listed in the wet ingredients including the water, ground flaxseed, pitted dates, tahini, maple syrup, vanilla, and salt. Blend the wet ingredients until it turns into a smooth paste. Taste and adjust seasoning to preference. Though the idea of this cookie is that it is to taste only mildly sweet, if you prefer your cookie to taste sweeter, you might add either another date or two or maybe a bit more maple syrup. But don't add too much more sweet as then you will add more moisture and will need to add more oats to compensate. Now, in a large mixing bowl, add all of the dry ingredients including the oatmeal, hemp seeds (or walnuts), cacao as well as the toasted and cooled buckwheat groats. Stir to incorporate everything evenly. Scrap the creamy date paste mixture into the combined dry ingredients. The batter will be quite wet and come together quickly. apart and flatten slightly with the back of a wet spoon or small juice glass. Bake for about 10 to 12 minutes. We recommend checking for doneness at ten minutes and returning for two more minutes if needed as ovens do vary. Transfer the baked cookies to a wire rack to cool completely. You may store these chocolatey crunchy delights in an airtight container at room temperature for up to a couple of days. We like to keep these cookies stacked in a clear glass jar in the fridge to keep track of when it's time to bake some more. As mentioned above, if you prefer a sweeter cookie, you might consider adding either another pitted date or two or more maple syrup. Nutritional info is per cookie so you can mindfully decide how many to eat. This recipe makes approximately 18 cookies. Are the buckwheat groats raw? If so do you soak them before toasting them? In this recipe, the buckwheat groats are raw before toasting and are not soaked. They toast quickly so watch them closely, Cindy, and thank you for reading and asking about the groats.